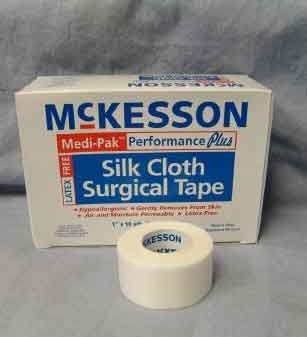 Medi-Pak Performance Plus Silk Cloth Surgical Tape is a non-sterile medical tape. It is air and moisture permeable and can be gently removed from skin. Medi-Pak Silk Tape is hypoallergenic and not made with natural rubber latex.